Got a prepper in your life but not sure what to get him or her for Christmas? Then check out these cool solar-powered gadgets. Preppers are worried about things like hurricanes, major earthquakes, or potentially a full-scale government shutdown. If any of those things happen, electricity is one of the first basic resources to go. 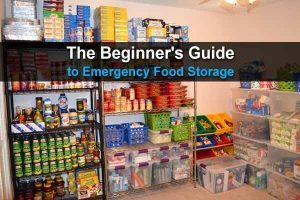 Most people could survive the first 48 hours without power; maybe even longer if they have an emergency stockpile and the outside temperatures are ideal – but long term, there’s no chance. 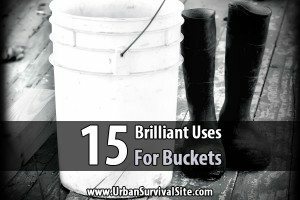 To get by without electricity, preppers will need backup options. Fortunately, solar technology has advanced very quickly over the past few years, and there are all sorts of cool new solar gadgets hitting the market. In this article, we’ll take a look at ten solar-powered survival items that would make great Christmas gifts for the prepper or survivalist in your life. Note: I listed them in order from least to most expensive, but prices could change. Remember when you were a kid and used a magnifying glass to burn leaves or start small fires? The Optic Fire Starter works exactly like that. It’s a piece of high-grade plastic designed to catch sunlight and start fires quickly. Similar to the size of a credit card, this compact off-the-grid gadget is an easy carry. Fire is critical for survival and is also one of the most difficult resources to cultivate naturally. When the kindling is too wet or you’ve run out of matches, this little guy is a literal lifesaver. To create fire, simply gather your tinder and use the solar fire starter to catch a ray of light which will create enough heat to start a flame. Even in the middle of nowhere, you can still have a warm shower with a portable camping shower. It’s a solar camp bag that can hold up to 5 gallons of water. The idea is simple: You fill it up with water and let it sit out in the sun for 1-2 hours as the water heats up to shower-comfortable temperatures. The solar shower has all the bells and whistles to mimic a regular shower with a showerhead, tap, and hanging attachment. This 5-gallon durable PVC bag can withstand the sun without melting or seeping toxic plastics into the water which you use to clean your body. Boost morale with a few minutes of comfort and ensure a higher standard of hygiene with a proper shower that cleanses your whole body. Don’t underestimate the importance of these two things when you’re living without electricity long term. Added Benefit: When you’re on-the-go and don’t know if you’ll come by water again, you can use this bag to carry or store water as you travel or camp. Innotech’s solar powered battery is a power bank that collects solar energy using a mini solar panel which converts sunlight into electricity. The power bank comes with a dual USB port, an LED flashlight, and has a capacity of 10,000 mAh. A waterproof and shockproof electric charger that powers all of your gadgets using just the sun? 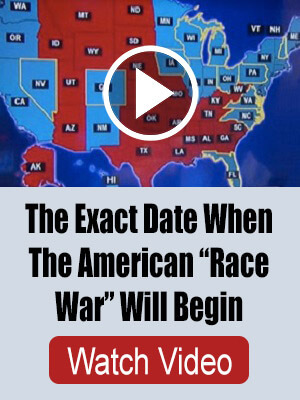 This one speaks for itself. Here is a luminous inflatable lantern that acts as a lamp, providing light to a larger space for up to 12 hours – that’s an entire night’s worth of darkness! Set the lantern out in the sun during the day to charge and turn it on when night falls. Fill it up with a puff of air when you’re ready to use it, then deflate and compress it for easy storage. 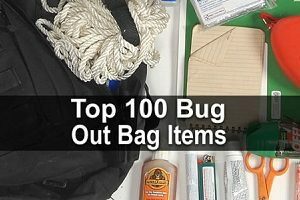 This is the perfect lightweight addition to any bug out bag for kids or adults. Illuminate your camp all night for security or use it for a couple of hours as you set up camp for the night. 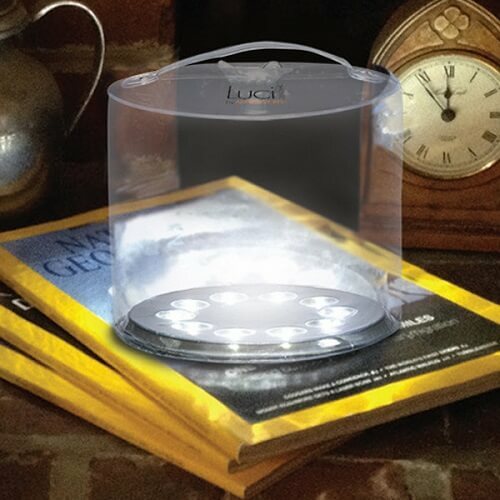 As this solar lantern is also waterproof and floats on water, you can use it to attract fish and critters while fishing! Choose between high or low light and adjust to your needs. The BGLOROSS solar-powered flashlight is a tactical flashlight equipped with a hammer, compass, and a small cutting knife. 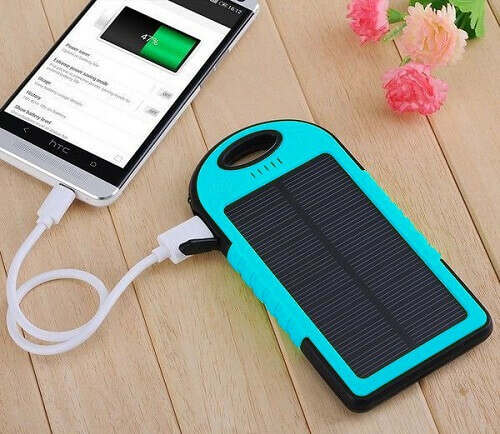 When you’re not using this gadget’s solar energy as a flashlight, you can use it as a power bank with a capacity of 2,000 mAh. A source of light for the night. A hammer for setting up camp. A compass for navigation. A cutting knife for fishing line and food. And an emergency charging bank for your gadgets. Never pass up a gadget that provides multiple functions with such a compact size. It’s gadgets like this that are total assets when you’re on the go in an emergency situation. The Survival Frog pocket light is a solar lantern that also doubles as an emergency power bank. This solar lantern is super lightweight and about the size of your hand. The durable handle on top lets you hang the lantern in your tent at night, brightly illuminating small spaces. The lantern takes only four to six hours to charge while offering up to ten hours of light. As you’d expect, you can use this lantern to illuminate your tent or small camping space at night – but it’s the emergency feature that really makes this lantern special. 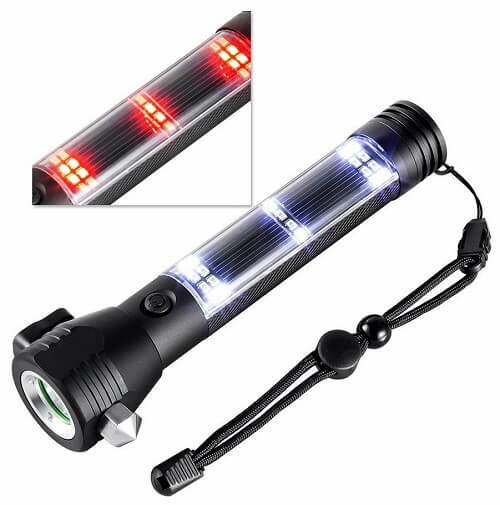 When stranded, use the flashing light feature to signal for help. The LED light can be seen even from afar and from the air. 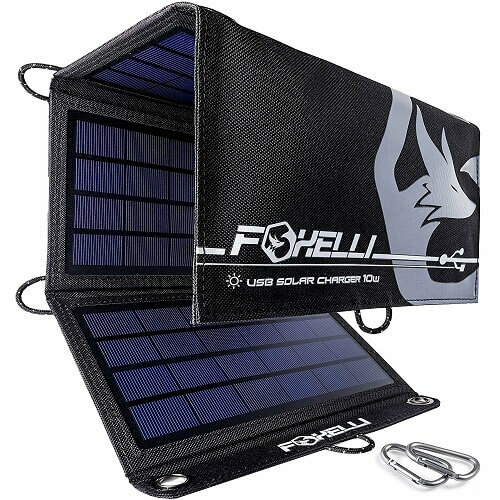 This Dual USB Charger is a foldable solar panel that is specifically designed to charge your phones, tablets and other electronic gadgets. It was made to recognize the input needed for your device and redistributes the output needed – optimizing energy use. Thin, lightweight and waterproof, you can actually hook this solar charger onto your backpack as you trek, letting it collect energy during precious daylight hours. You might not have access to the internet when the SHTF, but you can still use your electronics to access survival apps, Google Maps offline, and keep the kids entertained with movies and entertainment. Maintaining a comfortable standard of living is key to keeping your spirits up and staying sane. The Sun Kettle acts like a normal kitchen water kettle, heating up and boiling water using solar energy. It looks like a thermos but with side panels that open up to catch the sun’s rays. The kettle’s casing is made of durable plastic and tempered glass, so it can withstand even most intense heat. The Sun Kettle was designed to keep heat in, so not only does it boil water, but the water will also stay hot all day or night. It even has a ventilated cap that won’t break off if the pressure gets too high. Clean drinking water is hard to come by. To avoid dehydration, parasites, and illness, you must purify your water first. 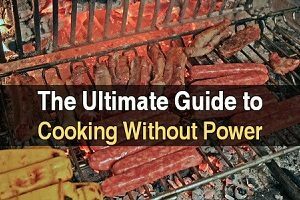 Boil your water for drinking and cooking on a daily basis without having to stop to create a fire which takes time and can put your camp at risk when you’re trying to stay under the radar. The Sunflair Mini Portable Oven is a foldable insulated bag that catches and bounces sun rays off of the oven’s solar walls, creating contained heat that functions as a regular oven, reaching temperatures up to 200 degrees. The Sunflair Mini Oven comes with a collapsible pot, a tray, and a thermometer. It requires no flame whatsoever. This oven is great for cooking smaller portions of food, casseroles, and thin cuts of meat. If you’re traveling with a family or group, you might want more the option to cook larger portions and more varieties of food. In that case, the Sunflair Portable Solar Oven Deluxe is a better option. This solar oven is bigger than the mini oven and comes with a complete cooking set that includes two baking trays, two dehydration racks, an enamelware pot, and two collapsible silicone pots. This oven offers a no-fuss method of cooking. Save your energy and your resources with a “set it and forget it” cooking routine. There’s no fire needed, which allows you to lay low. You can even use it to pasteurize water during the day. It folds up just as thin and light as a board, so it won’t take up too much space while you’re on the go. Extremely strong yet relatively lightweight and portable, The Patriot Power Generator 1500 is a lithium-iron-phosphate battery that comes with a folding solar panel to charge under the sun. This is one of the best solar powered generators on the market, fully charging in just four hours. It can supply you with 1,500 watts of solar energy that will store for up to one year. You also have the option to pre-charge by plugging it into an outlet or using a wind turbine. When the power goes out, having a solar generator ensures you won’t have to leave your house and be thrown into the chaos right away. A regular power bank or charger doesn’t have enough juice to power appliances like your fridge or light source – but this generator does. When it’s time to leave the house in search of safe ground, this 38lb generator can come with you. You don’t have to live under the hot heat of Arizona to harness the power of the sun; even cloudy days can charge solar gadgets to not only provide comfort and convenience, but also safety, protection, heat, clean water…the list goes on. It is NOT what you know, but that you know where to look for what you don’t know.